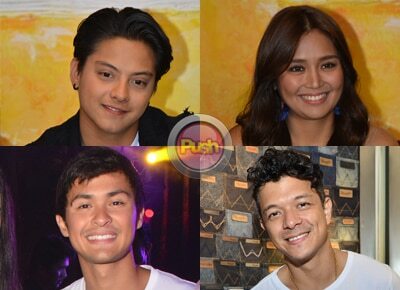 Celebrities reveal what Holy Week means to them. “Hindi naman siguro one thing pero siyempre with all the things that’s happening in our world, it’s so hard to live di ba? Ang daming bad news all over the world. I’m not talking about the Philippines. Parang sa death and killings sobra akong nalulungkot. So ako I try to restore my own faith in humanity all the time so I try to look for the good people and the good things. I try to also focus on that na marami din naman. Otherwise parang masyado kang malungkot or maisip mo yung buong mundo masama na. Lately I’ve been trying to write about that nga actually. I have a bunch of projects that I’ve done with my family so I want to show also na people are still good.